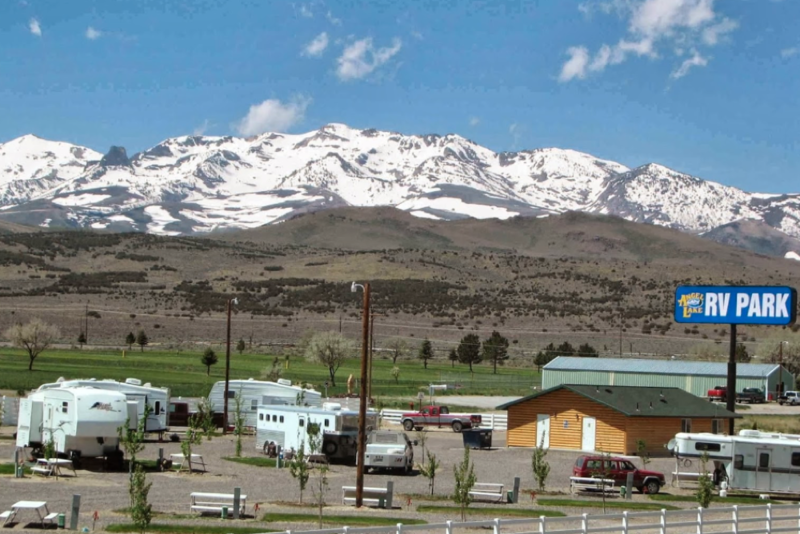 Angel Lake RV Park, located in heart of the Old West near Wells, Nevada offers campers a beautiful mountain getaway with fantastic amenities. This year-round campground is family and pet-friendly and offers great opportunities for outdoor recreation and relaxation. Campers have their choice of large, full hookup RV sites that include cable and WiFi. All sites feature picnic tables, amazing mountain views, and guests have access to clean restrooms/showers and a large picnic area. All visitors can take advantage of laundry facilities, the TV room, phone hookups, snacks, and easy access to a grocery store and hardware store. Tent sites are also available upon request. There are a number of great sights and activities near the Wells area. Beautiful Angel Lake is only a short drive from the park entrance and up into the gorgeous mountains. 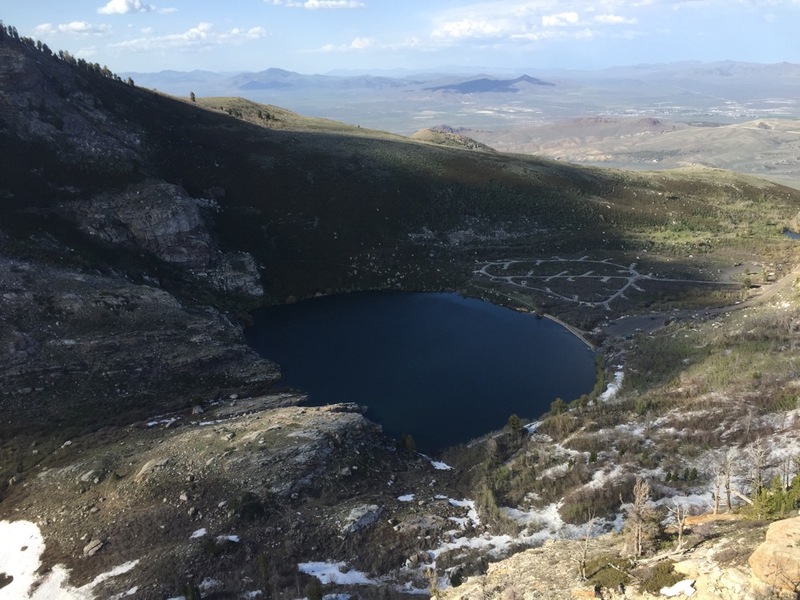 The 11-mile Angel Lake Scenic Drive is often overlooked, but it offers sweeping views of the Humboldt Mountains and lush forest before reaching Angel Lake which sits at an elevation of 8,500 feet – perfect for hot summer days! This area is ideal for wildlife viewing, fishing, hiking, and canoeing. The incredibly scenic Lamoille Canyon is another spot visitors should add to their list. Situated in a huge verdant valley in the Ruby Mountains, this area is full of rugged peaks, wildflowers, fall colors, and alpine lakes. 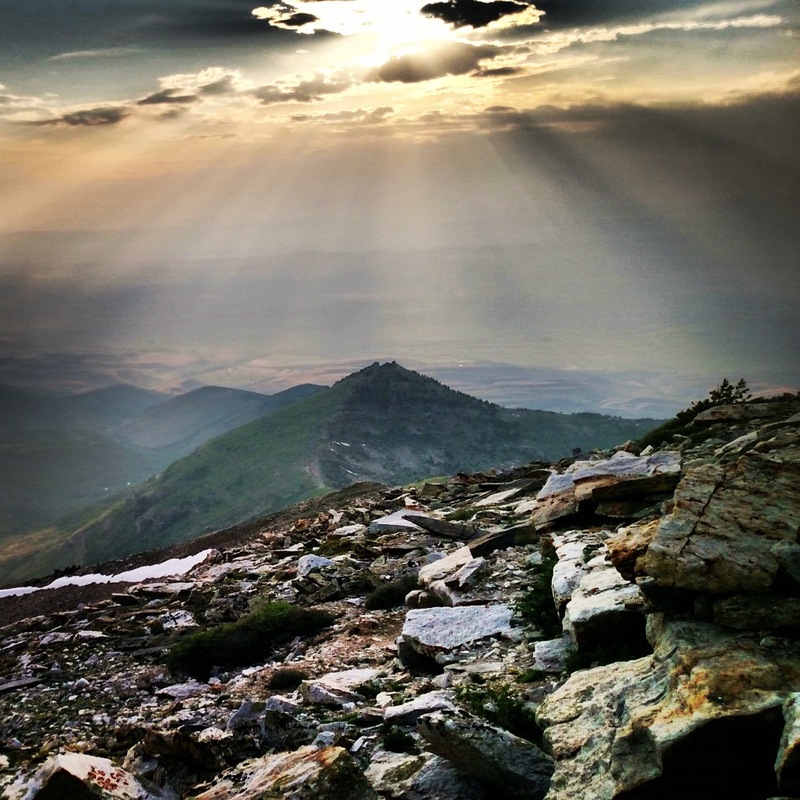 If you’re searching for a hike, you will have more than 100 miles of trails to explore here. Other popular activities in the area include golfing, biking, boating, climbing, hunting, gambling, horseback riding, swimming, and winter sports. Ready to start planning your northeastern Nevada camping trip? 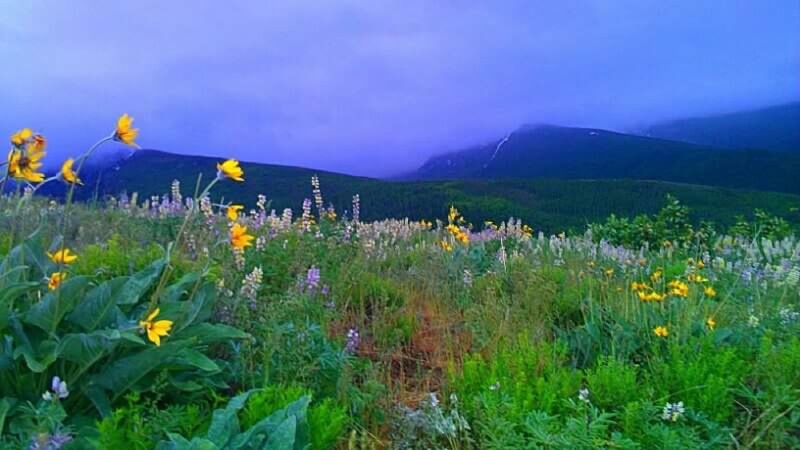 Angel Lake RV Park is a great place to call home while exploring the surrounding mountains or just relaxing and taking in the views. Book your stay today on Camp Native!